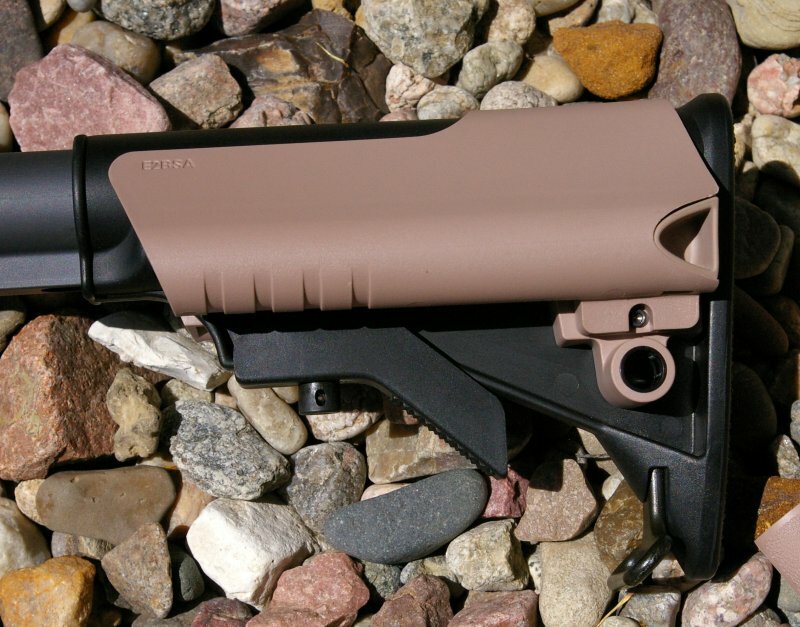 Mission First Tactical is emerging as “the” competitor to what previously has been ruled primarily by one manufacturer. Mission First is going after the market leader aggressively head-to-head with new innovative products on store shelves and online retailers. 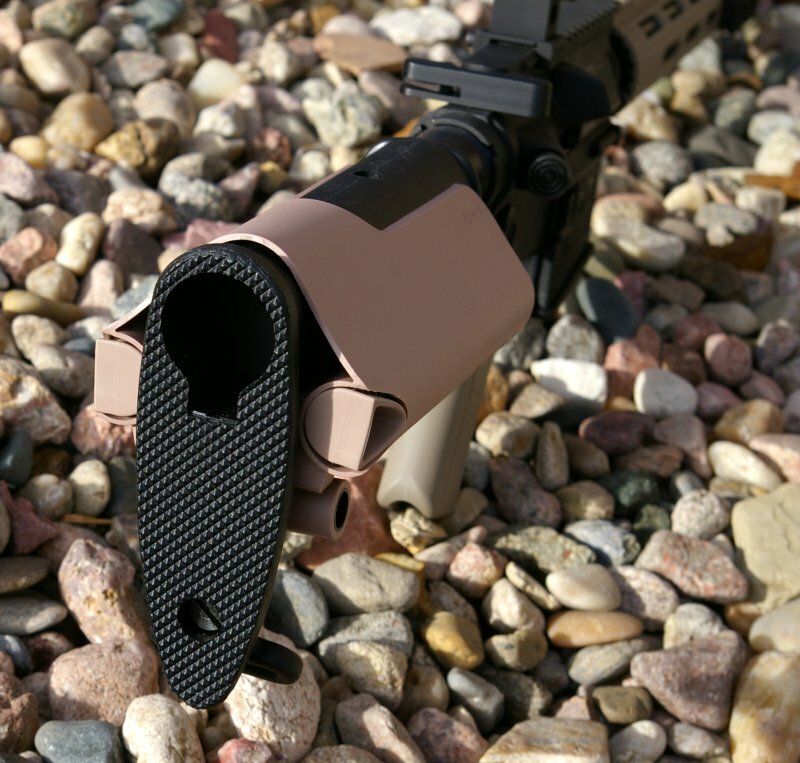 Mission First’s AR15 upgrades I have tested to date have proven themselves highly innovative and feature rich. The two products I recently tested were the Engage Customizable Pistol Grip with interchangeable straps and Evolve Battle Stock Attachment. Both products delivered big comfort improvements over standard furniture on my Spikes Tactical ST-15 with a Vortex SPARC red dot . 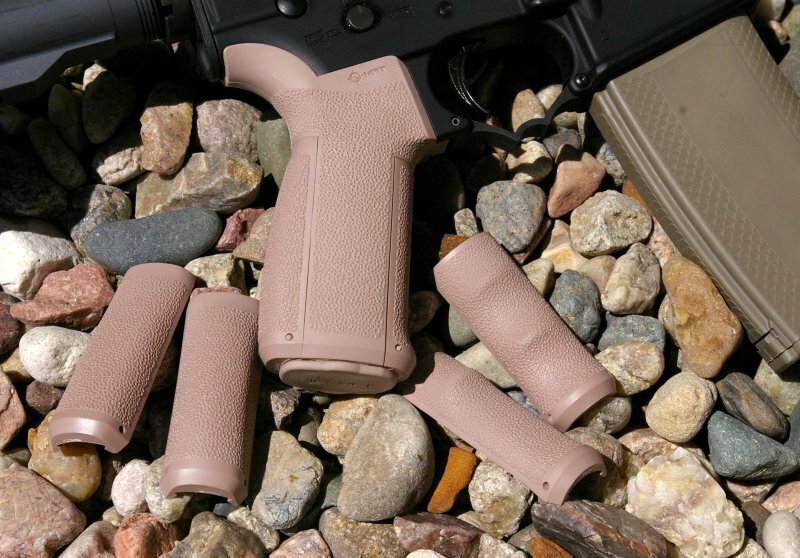 Mission First Tactical is a sibling company to Fobus holsters, so they know how to make great durable tactical polymers that stand up to abuse and provide great design and fit. 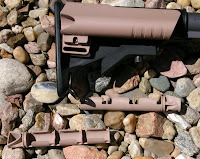 All their AR upgrades are available in your choice of Black, Flat Dark Earth, Foliage, or Grey. 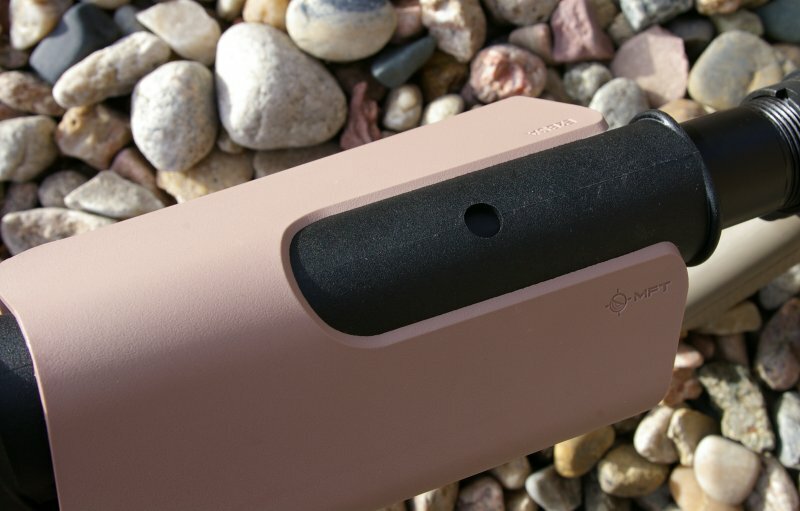 Of note is that the Mission First Tactical FDE varies from the Troy FDE as you can see on the Troy Battle mags I am using. Not a big deal for those that put function over form, but for the shelf queen builders, you should keep that in mind. 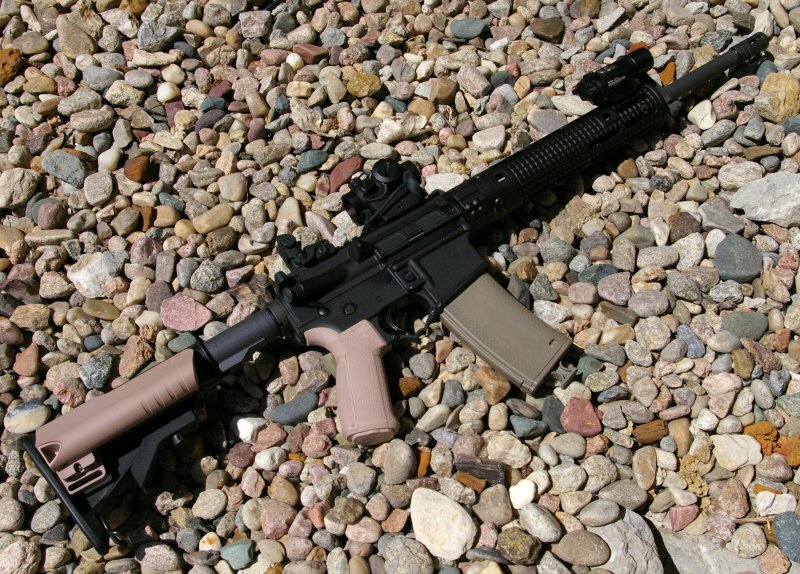 Engage AR15/M16 Pistol Grip with interchangeable straps - To be honest, I loath the stock AR grips. They do not fit my hand right, the finger grip hits me in the wrong area and the girth makes it feel funny in my hand. The problem is that although there are some great compromises for AR grips, everyone has a little different hand and grip style which make it tough for a one size fits all solution. 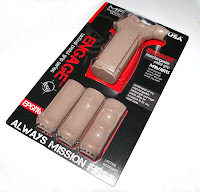 Mission First Tactical recognized and solved this issue with their Engage AR15/M16 Pistol Grip with interchangeable straps. 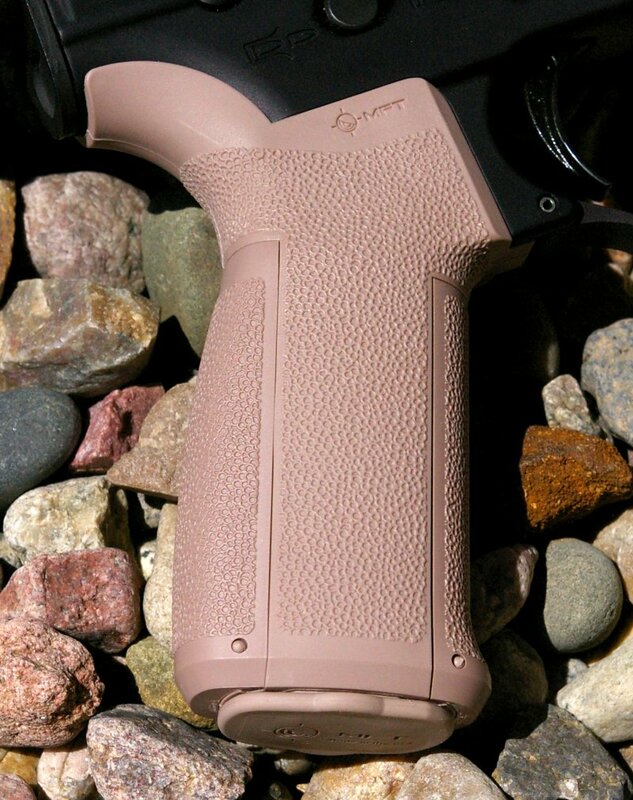 Each grip comes with three front and three rear interchangeable grip straps. The front strap can be swapped for a plain, single finger or multi-finger front grip and the rear has a three increasing contours to personalize the fit for various hand sizes. The grip straps lock securely in place with a plastic pin, but can be changed easily at any point. Evolv Battle Stock Attachment - The stock M4 six position stock on my Spike Tactical ST-15 was OK, however I do prefer the more comfortable option that the SOPMOD style stocks provide. The Mission First Tactical Evolve Battle Stock Attachment is a simple and inexpensive solution to morph your standard stock into a SOPMOD style stock quickly to provide a better cheek weld, added storage for up to six CR123 batteries, and standard and QD sling mounts. Engage AR15/M16 Pistol Grip with interchangeable straps - Mounting only required removal of the grip screw and moving the screw and detent spring over the new grip and re-installing. I selected the smooth front strap and medium backstrap initially, but later swapped out the thinner backstrap for a little more comfort. The pattern on the grip locks the hand in well and the overall design dissipates recoil much better than the stock grip. Not surprising, the upgrade was a huge improvement in comfort and handling. Evolv Battle Stock Attachment - Mounting the Evolv Stock Attachment was a little tricky as it fits and keys into the stock very tightly. The first step is to attach the sling mounts orienting the standard or QD sling mount on the side you want and bolting these to the stock. 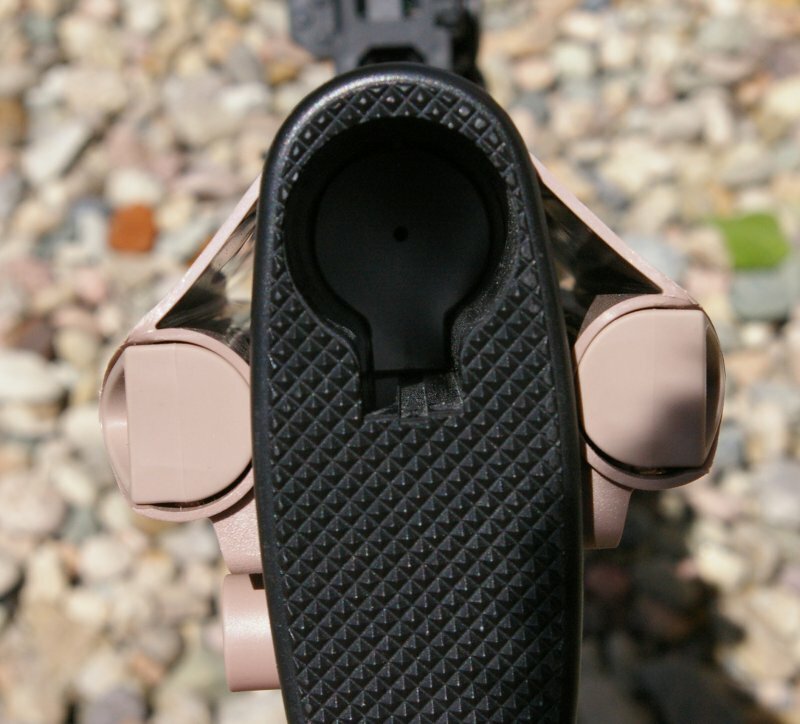 The saddle secures to this and tightly locks into the grooves on the standard M4 stock for the feel of a one piece stock. It takes a little wiggling, but once everything is assembled it is rock solid. My advice is to add a little lock tight to the nut head that retains the saddle before attaching the sling mounts, this will make them just sticky enough that they will not slide out as you are attempting to mount and secure the saddle. This is a pretty cool upgrade for the simple reason that for $29.99 your standard stock can be upgraded to the same features as a $100 SOPMOD style stock. Not a bad investment at all to get a stock that provides for a very solid and drastically more comfortable cheek weld all while providing storage and extra sling attachment options. While I was upgrading I did add the awesome Vortex Sparc red dot sight and Troy Battle mags but that will be another review. Mission first has a number of other products which I hope to test out at some point on the safe full of ARs I have, but so far the One Point Sling, Engage Grip and Evolv Stock Attachment have all been great investment in comfort and handling. If you see these on the shelf I would highly recommend you give them a try, they are every bit as good or better than that other brand, and may surprise you with extra innovation and features.